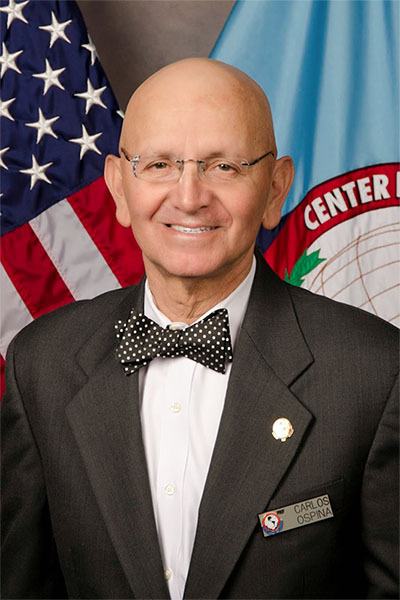 On July 2014, Perry Center Professor and Chief of Defense Chair Carlos Ospina-Ovalle bid farewell to the Center to take a position as Distinguished Professor at the College of International Security Affairs (CISA) at NDU. CISA and the Perry Center are neighbors in the NDU community, and it is likely that Professor Ospina will continue to collaborate with the Center from his new position, opening new opportunities for bridging these two important institutions. The Perry Center has been proud to count Professor Ospina among the faculty for the past seven years, following his dynamic career as an international security practitioner. Ospina is the former Commander of the Colombian Armed Forces and also served for 42 years in the Colombian Army. His lectures and publications on strategic leadership, counterinsurgency, and the history of Colombia have been invaluable contributions to the Center’s curriculum. In addition, during his time at the Center he has displayed extraordinary ability to marry practice—resulting from his extensive military career—with a solid theoretical background in his courses, and has demonstrated an insatiable appetite for research and continued learning. The faculty and staff will especially miss Ospina’s humility and collegiality as a member of the Perry Center community. Professor Ospina will be honored with a farewell ceremony and reception at a later date.